The existing Chrysler Pacifica Hybrid Platinum model starts at $58,290, including the destination fee. 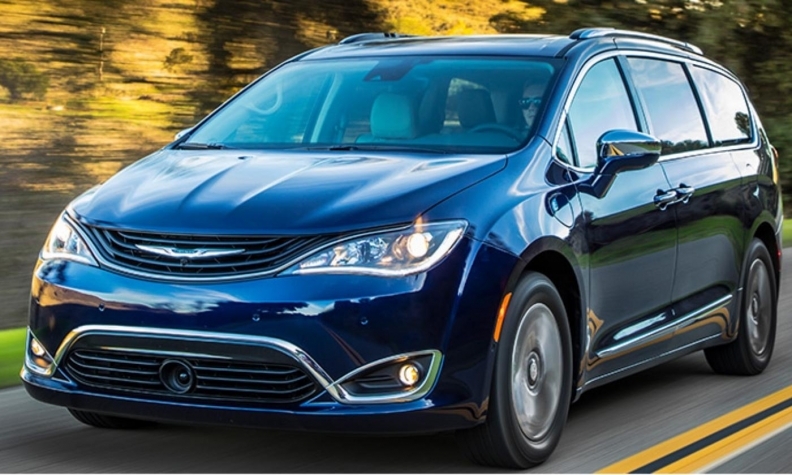 The Chrysler Pacifica Hybrid will now be offered in three trim levels, not just one as originally announced in November 2016. Fiat Chrysler Automobiles said Monday that the plug-in hybrid electric version of the minivan will be available in lower-priced Touring and Premium models. The new Touring model has an MSRP of $52,790. It is now the new entry point in the Chrysler Pacifica Hybrid lineup. The new Premium model has an MSRP of $54,290. The existing Platinum model starts at $58,290. All three prices include the destination fee. All three models are eligible for provincial government “green” incentives in Ontario, Quebec and B.C. The expansion of the lineup comes two weeks after shipments of the long-awaited hybrid minivan finally started on April 17. Customers who have been waiting for its arrival and ordered before March 30 are being rewarded for their patience by FCA. The automaker is offering those who got their orders in early a Level 2 home charger or a $500 Visa gift card. Chrysler Pacifica Hybrid and the gasoline-powered model are built in Canada, alongside the Dodge Grand Caravan at the Windsor Assembly Plant, in Windsor, Ont. The Pacifica Hybrid remains the only plug-in hybrid minivan in the market.